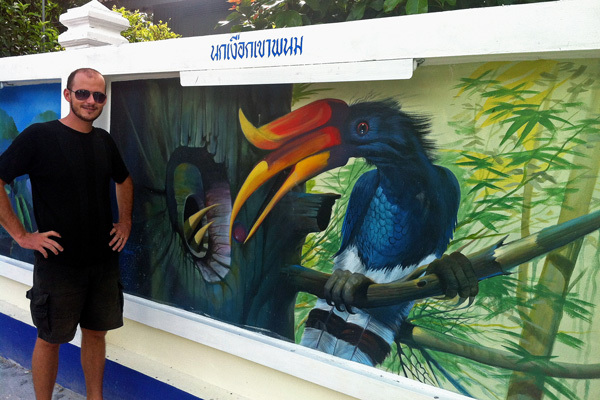 Towards the end of our time living in Krabi Town (mid 2012) we noticed one day that construction/renovation along a wall in front of a local school had started. The wall sections were being painted white and ‘framed’ in a sense. 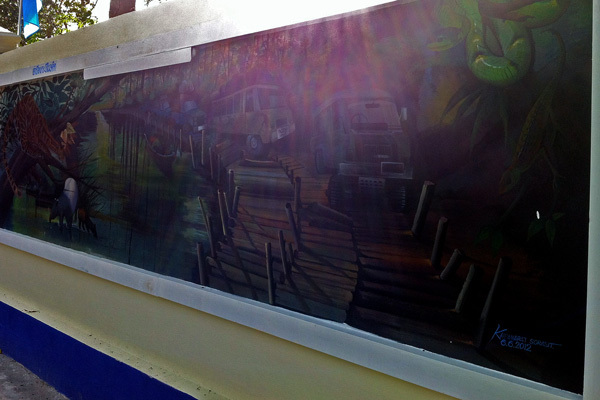 About a week later we realized that indeed the wall sections were prepared to be canvasses. 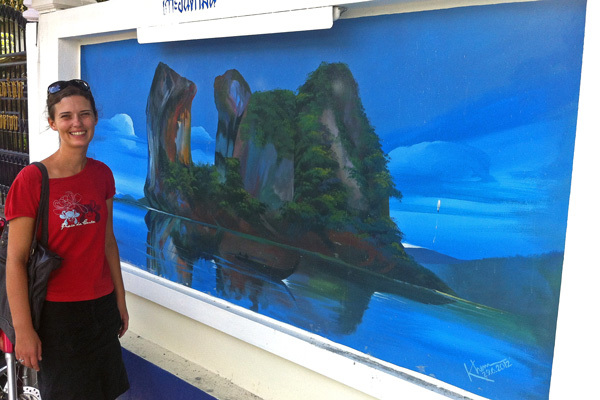 Local artists started painting scenes to depicts local life in Krabi or popular sights from the area. 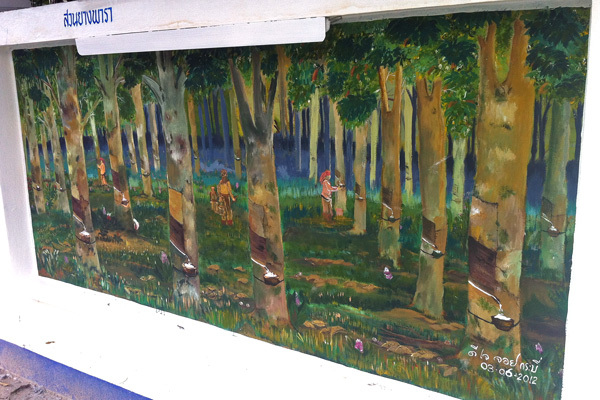 After a few weeks, the artists had finished their paintings. 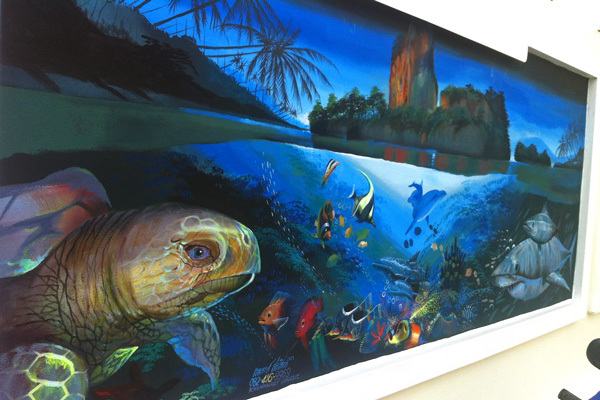 Walking along the wall and taking in their wonderful creations is absolutely breathtaking. 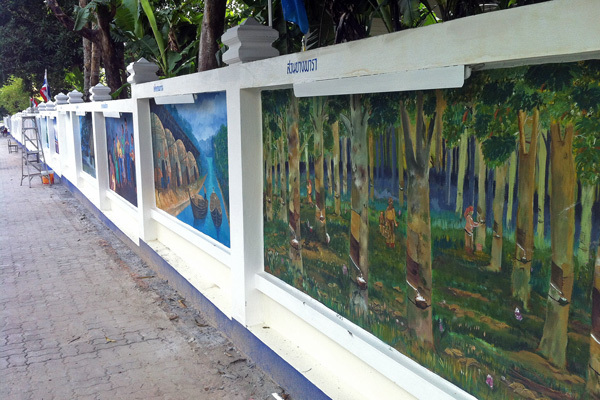 The art walk is located close to Wat Kaew temple in the center of town. If you leave the temple grounds by the upper entrance (not at the bottom of the stairs) and walk further up the street, you will soon see the art walk on the left hand side. Life underneath the sea surface. Exotic birds in the tropical forest. Workers in a rubber tree plantation. Even religious beliefs of local residents were represented. 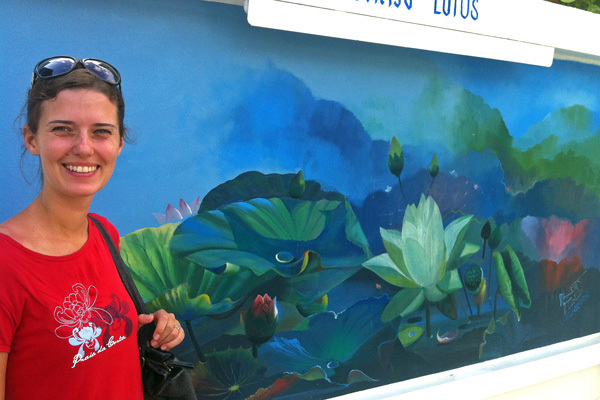 There were paintings of Buddhist monks and mosques as well. 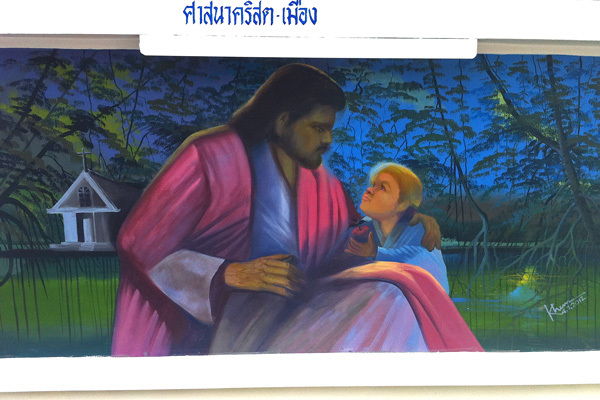 We think this painting is supposed to represent the small Christian population of the area. There is a church in the background and we assume this man is supposed to be Jesus.